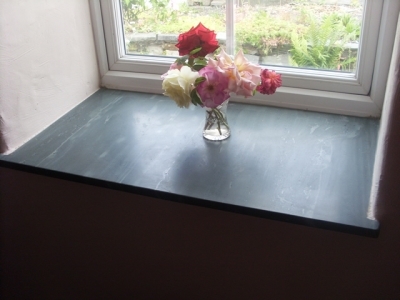 Many people replace their windows in their home but never give a thought to their window sills. 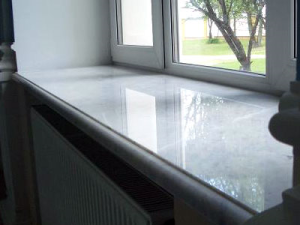 As you’re upgrading the windows to improve their energy efficiency and the curb appeal of your home, consider how new marble window sills will increase the style inside your home. 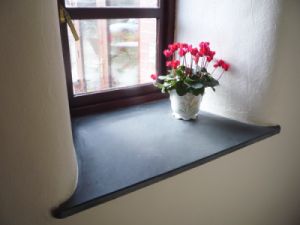 These natural stone window sills are easy to clean and maintain. They never need painting and won’t warp. New marble window sills can add color and texture to your windows depending upon the pattern you choose. There are several ways to decide what color or pattern marble to choose for your new window sills. One method is to match the window sill to other marble in the room like your bathroom vanity or fireplace. When you have other marble in your home, this is the best method. However, if you don’t have marble in your home, it’s best to keep your marble choice neutral so that no matter the décor you choose or the paint on the walls, the marble will complement the room. Most homeowners choose to have the same marble window sills throughout the home. Like most natural stone suppliers, Modlich Stoneworks will help you measure the window sills prior to ordering them. Installation can be done either in conjunction with the replacement windows or it can be done after the window replacement is completed. Be sure to ask about remnant pieces when you are looking at replacing your window sills with natural stone, you may be able to save money if there is a piece that is large enough for your project. Of course, if marble isn’t the stone of choice for your new window sills, another popular option is travertine and granite. Modlich Stoneworks will also work with you on any other natural stone project for your home or office. Our team of professionals can help you with granite, quartz, limestone, travertine, and onyx in many different applications in your home, office or retail space. Contact us today for an in home or office consultation for your project.